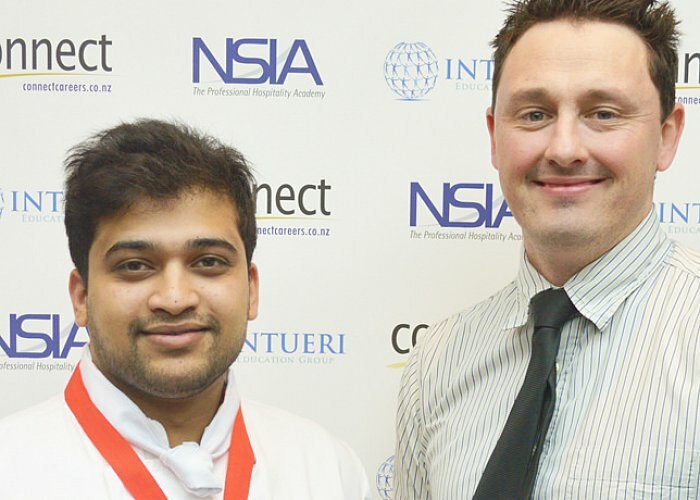 Rohan started a Diploma in International Cookery and Patisserie (Level 5) at NSIA in January 2015 and was selected to compete at the NZ Chefs National Salon in 2016. Rohan was part of a three-person team that competed in the Nestle Toque d’Or event. The kitchen team and front of house team both won Silver Medals. “The last two months were totally awesome; the training sessions were a great experience for me. I learnt a lot of things which will lead me to be a good chef in the industry. All the fun, stress and hard work has finally paid off. This was the first cookery competition I had ever competed in; it was a total honour to be cooking with 36 young chefs from around New Zealand. I was really excited to compete on the day and I appreciate the support received from fellow students and NSIA staff. “Rohan was always smiling, no matter what was happening in the kitchen you could tell that he was enjoying every minute of it. 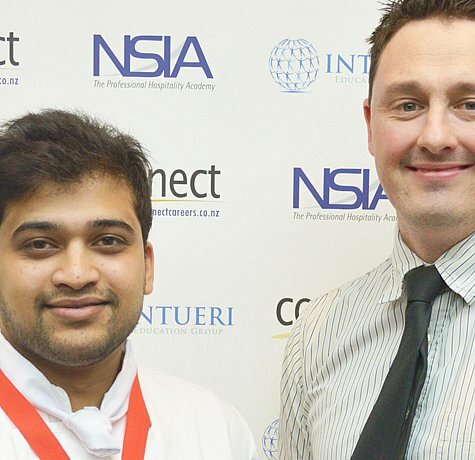 It was fantastic to see Rohan’s skill set increase throughout the training and turn into a confident Chef.